Global posed with The Old Lady two weeks after clinching the Double. 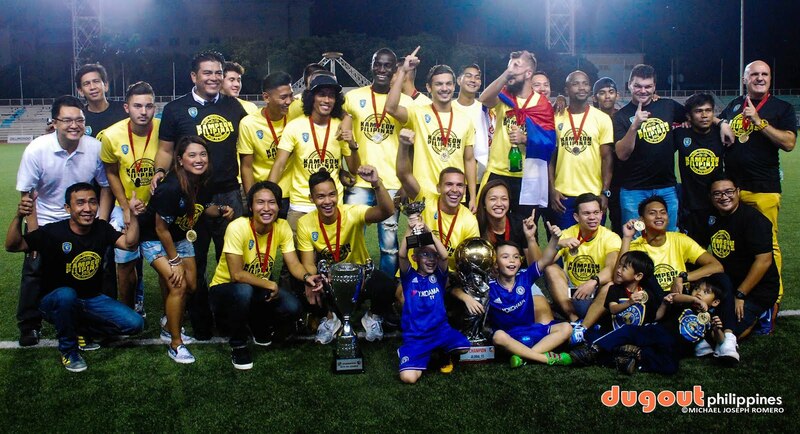 MANILA-- The United Football League concluded its 2016 season with the end of season awards right after the final whistle Sunday evening at the Rizal Memorial Stadium. Matthew Hartmann was named the midfielder of the season, with former teammate and now Voltes' centre-back Masaki Yanagawa adjudged as the league's best defender. Ceres' Adrian retained his Golden Boot for the second consecutive season bagging 30 goals, an increase from 18 last season. Sixth-placed Stallion were this year's Fair Play Award receipient for being the most disciplined side. But the night belong to Voltes' Nelson Gasic and Global's Hikaru Minegishi, as they surprisingly beat favored opposition to win the Golden Glove and the Golden Ball. 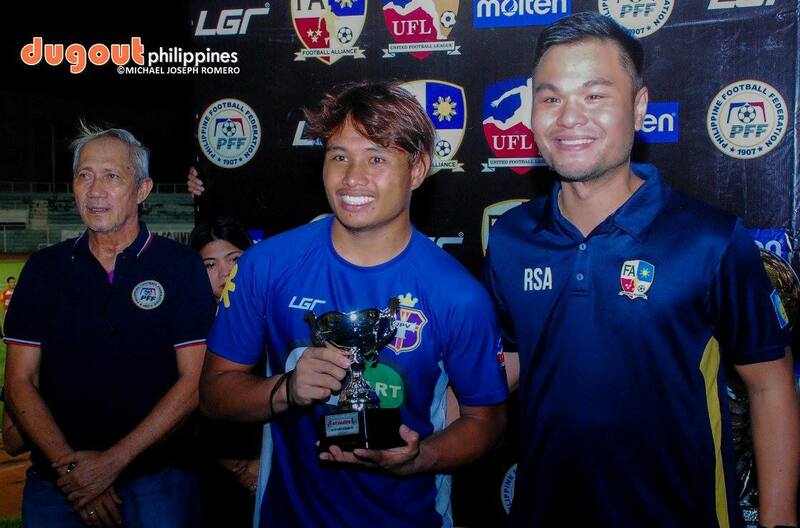 Nelson Gasic posed with UFL's Rely San Agustin, himself a goalkeeper, after being awarded as the league's best netminder. The former Lyceum standout completed each of the 18 played matches for Voltes, conceded 16 goals and got 10 clean sheets in the process, including their shutout win over Ceres in their final match of the season right before the ceremonies. While the Japanese winger was the champion's leading goalscorer with 18 strikes to his name, majority of them from his second round surge, becoming the third Global booter after Carli De Murga and Jason De Jong to receive the league's player of the year plum.